One of the claims to fame for the Church of Jesus Christ of Latter-day Saints is our interest in genealogy. One of the programs in the Church that allows us to do this is FamilySearch Indexing, where we digitize the handwritten data--census records, military records, things of that sort from countries all around the world. I just changed my stake information in my FamilySearch Indexing account. Because of that, the number of names I've indexed was reset to zero. Before that I had about 470 some names as the total amount that I had ever indexed. I was speaking to a friend recently about a story from scripture he seems to have been contemplating lately. It's the story from the New Testament where, after Christ feeds the 5000, He walks on water to the disciples that are attempting to sail through a storm on the Galilee. It's also the story where Peter leaps out of the boat and walks to Christ on the water. It's a pretty power-packed couple of days, and the part that always stands out to me is everything that happens to Peter. But it's Christ's development, if I may be so bold as to call it that, is what has recently sparked my interest. In order to understand the events that lead up to Christ walking on water, I feel like it would be helpful for me to start with the feeding of the 5000. And since I don't really have any concept about how big of a number 5000 actually is, I set a goal to index 5000 names by the end of the year. That averages out to about 150 names a day. At about 50 names an hour, it's 100 hours total, averaging almost 3 hours a day. Wish me luck! I see now that I've started that I'm going to need it. South Dakota census records are not easy to translate, as it were. I know that God lives, and with the help of His Spirit we can do great things in His service. In the name of Jesus Christ. The new site for the Philadelphia temple has been announced. 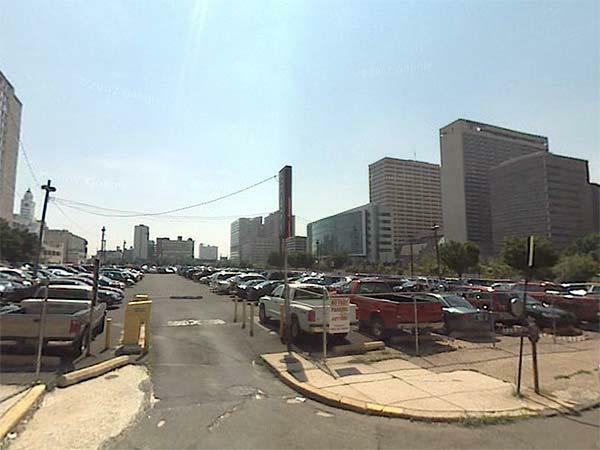 The old site was on Market Street somewhere, but the new site is on Vine Street, closer to the Philadelphia Art Museum. The Church's official press release is over on the Newsroom Blog. I mean, just look at this. Compared to the beauty of even the most urban of temples, this parking lot is absolutely destitute. An empty, dirty place that who knows how many people pass through, or pass by, without taking a second look. And having been to the City of Brotherly Love dozens of times and probably having passed by this very spot, I'd say I've been guilty of the same thing. It's almost hard to imagine that a nasty old parking lot, a place for cars and telephone wires to pass through, could ever become holy ground. But that's exactly what will happen at this spot by the time the temple is built. Which makes me wonder how many times I made that mistake while looking at my own life, because of my past. I had a parking lot life once--one where people would come and go as they pleased, usually throw some trash on the ground, then leave again. "I mean sure, there's tons you can do with a vacant lot," I'd think to myself "but just look at you--why would anyone want a life like yours?" The way people teased and taunted me all throughout my childhood, plus the hand I was dealt through my family's choices and circumstances, left me feeling the way this picture looks. I remember praying often for God to take me away from all of that--to help me fly far away, to know something better. Something more. I wasn't even sure what I wanted--I didn't have the words to ask for it--but surely whatever it was would be better than where I was and what I had. I asked and asked, but never really dared to hope that my prayers would be answered, or that my life would change. "God comes in to rebuild that house. At first, perhaps, you can understand what he is doing. He is getting the drains right and stopping the leaks in the roof and so on: you knew that those jobs needed doing and so you are not surprised. Seeing what my Father in Heaven has done makes this new opportunity in Philadelphia all the more exciting. I'm already hoping to take my parents to the open house so they can see how incredibly beautiful the temples are on the inside. By doing so, it's my hope they'll understand why I go so often. I hope they'll feel the same peace and joy that comes into my life every time I go because Heavenly Father is there. I hope they'll see for themselves that by living the way I do, His Spirit dwells with me and builds me into a sacred and holy temple. I want them to know that Heavenly Father is eager to build them up too, to bring a peace, protection, and a surety into their lives that they've never experienced before because it doesn't exist in any other place. If they could catch the smallest glimpse of just one of these things, they'd understand why I want them to consider what the Church offers, to share in these experiences with me. These ordinances we do are all about family--sealing us together so we can live together with God for time and all eternity. And if the price of that blessing for all of us means I have to step away from them, to work for us in ways they cannot see, and endure in hope that they'll understand some day, that's what I'll do. I've come to appreciate that eternal life for me would hardly be eternal happiness if my family wasn't there with me. But they cannot have those blessings of eternity if they choose not to give their lives over to God, and He won't force them into such a choice. He'll offer His gift to them, but they have to receive Him in order to have His joy. Our Savior Jesus Christ is the Way, the Truth, and the Light. None come unto the Father except they accept the mercies of His Son, and give away all their sins to know Him. I testify that Heavenly Father lives, He loves us with a greater love than we could ever imagine. He desires to have us back to live with Him, so He sent Jesus Christ to die for our sins, which allows us to repent of our mistakes and to be forgiven. Through His forgiveness, we can return to our Heavenly Father with great rejoicing and a fullness of new heart. I look forward to that day, and I trust that if I will be obedient, this journey will end joyfully somehow. I believe this with all of my heart, with the certainty of saints, in the holy name of Jesus Christ, my beloved Savior and Redeemer. I found an old hymn book at DI last night when I went there with a friend, and because I wanted a closer look at it, I ended up buying it. It's the 1948 edition, and there have been enough changes to the hymn book since that edition that I wanted to spend some time looking at it. I came across this hymn as I was thumbing through it, and it really resonated with me because walking alone at night is something I do often. Living in Provo, it doesn't worry me much--and not because it's a Mormon college town where there are scores of people wandering around at all hours of the night anyway. The way the campus is set up, it's easy to make it to my favorite haunts through wide open areas, well-lit places, and places with lots of people that are always awake (i.e. the freshmen housing.) The rudest thing that has ever happened to me here at night was the time some jerk stuck his head out of the passenger widow of a car and screamed really loud when he went past me because he wanted to scare me. Not exactly anything to write home about. But the past few days have been long ones for me, full of unanswered questions about what I'm supposed to be doing about many situations I cannot actually change, so in the spirit of both this new hymn and old habit, I made the 45 minute walk up to the temple to find some peace of mind--if not resolution, which in all honesty I wasn't expecting. 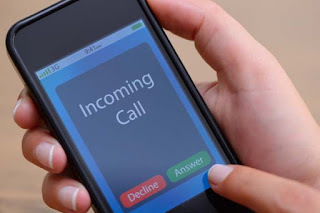 As I made my way to the temple, carefully scanning my surroundings constantly for any unexpected changes that might be a threat to me, I was listening to my iPod. Several of Elder Holland's talks came on, and with each step I took into the right direction, with every word of his that met, matched, and answered the concerns of my heart, I found the uphill way to be more of a comfort than a burden. The uphill path was one I recognized and had come to know intimately. I was on familiar ground where I knew the way and knew what to expect. It restored me to the even, sure-footed rhythm I had somehow lost in stumbling. But once the temple was in sight, the rest of the world fell away. The words of Sister Holland were a comfort to me as I sat there, when she reminded that God uses broken things to bring about His miracles. The broken wheat is the way to bread, and the broken bread is the only way to eternal life. I certainly felt broken in that moment, but less afraid because I know the broken way. Once the disorientation of my fear had left, I realized that I not only knew this story, I knew the ending. All I had to do was choose it. ... where I turned around, and saw my Father's kingdom. Nestled into the valley before me were the pinprick lights on the ground that looked so beautiful against the night sky. From where I was standing, it looked as if heaven was below me as well as above me, and I felt surrounded by His eternity, the pavilion of His hiding place. I thought about those lights and realized that my faith, as much as it taxes me to keep the light burning brightly, that pinprick in the night is how much of a difference each one of us will make to others when we are prepared, and the darkness comes. Being that light is the hardest thing I've ever tried to be, since the only way to glow is to be surrounded by darkness, but that kindled flame is everything--everything that will ever matter to me. I sat there for some time, praying. I'll admit, the peace that came to me wasn't overpowering. I wasn't completely back to the wholeness of heart I craved. But I now had enough oil in my lamp to get me home, and to try again in the morning. When I saw a man shutting the gates to the parking lot, I knew it was time to go. I stood up, put my headphones on, and began my journey home. I finished The Inconvenient Messiah, where Elder Holland told me a story about Spencer W. Kimball, how utterly overwhelmed by despair he felt when he was called as the Prophet. He then said something that I hope will sink deep into my soul. "If for a while the harder you try, the harder it gets, take heart. So it has been with the best people who ever lived." It shouldn't take an old hymn book from DI to get me to see that at this point, but I'm so glad what I needed was there just the same. An answered prayer is an answered prayer, and whatever form it comes in is good enough for me. I testify that our Heavenly Father sees our struggles, and that the hands of His Son touch our lives gently--through storms, silence, fair weather, and everything in between. He always cares, and He always answers. In the sacred name of Jesus Christ that frees us where we stand. Out of all of the sessions of General Conference I've ever attended, this most recent session meant more to me than any other, and not even by virtue of the fact that it's the avenue of the most current revelation on the earth. As of late, it has taken greater dedication on my part to have the Holy Ghost with me in the same magnitude and consistency that I have previously enjoyed. Although considering some of that growth came through great pain and suffering, I'm not sure if "enjoy" is the best word to use there. I've had to exert more and more effort for the same results. I wondered for many months if it was because I was doing something wrong. I feared I might have been offending the Spirit without realizing I was doing so. But after hearing so many talks from this most recent session about the presence of the spirit, the purification of our hearts, and the sanctifying power of love coupled with more exact obedience to the commandments, it seems to me that what I'm feeling is not an accident. I think it's fair to say that based on the instructions that we've been given, we're supposed to be drawing closer to the Spirit and to each other in love--becoming a more Zion-like people. We've been taught that Zion is not just a place that we can expect to establish in the last days, in preparation for the coming of the Savior. Zion is also a state of being one in mind and heart as a people, looking towards and continually dwelling in the pure love of Christ. Now, I may not be the greatest gospel scholar in the world, but considering we just received more counsel than I've ever heard in one setting about purification, love, charity, and dwelling continually in the Spirit, I really must wonder what, exactly, the leaders of the Church were instructing us to do. Can I just say, I loved the ONE guy not wearing a suit coat? We may not have been told this session to return to Missouri, which is where we've been taught through modern revelation the physical place of Zion will be. 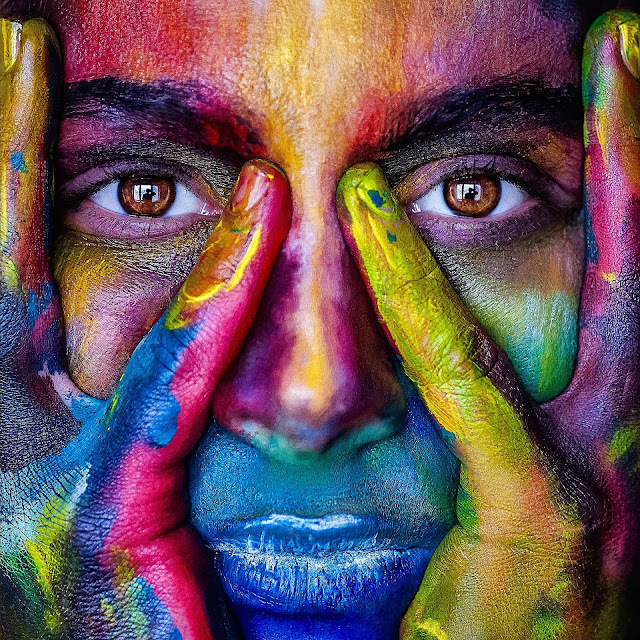 But it sounded to me like we're all supposed to be much more Zion-like in character than we currently are as individuals, as a nation, and as a Church. And building Zion in our hearts is going to be much more difficult than building a new city, or even building a new temple. We would know--our people and our Church have been building both of those for over a hundred years now. Five more temples were just added to the lengthy list of those being renovated, planned, or constructed. But as we've seen in our failure to live under the United Order, being Zion in heart and mind is the most difficult undertaking that mortal men can attempt. Think about it. Imagine trying to be loving, charitable, virtuous, united in the common cause of Christ at all times, to dwell in the Spirit at all times, to love and obey God at all times. Try doing it for a week and see how much of a headache it is. Better yet, try doing it for a month and see how much Satan doesn't like you and tries to thwart you at every turn. The temptation never ceases--not in waking life, and not in sleep--and increases in severity as you endure it well. Satan will do all he can to destroy you. I know this as sure as I'm standing here because he and his minions have attacked me on too many occasions for me to count. But at the same time, the peace that has been offered me through the Holy Ghost has been sweeter, full of more knowledge and more guidance, and has blessed me with an ever-increasing ability to endure such tribulation. God does not quiver and shake as Satan surely does with each passing moment. But how is any of this new? We've been hearing this for years. I've only been around for the past 4 of them and I know I've hear it plenty of times. But what I'd like to do is sound a clarion call of warning that the stakes have just been raised, and the task ahead of us has never been greater, but neither have the blessings. If we will do as we've just been instructed in this past session of General Conference, we will see mighty changes in our world, in our Church, and in our ability to share the gospel. 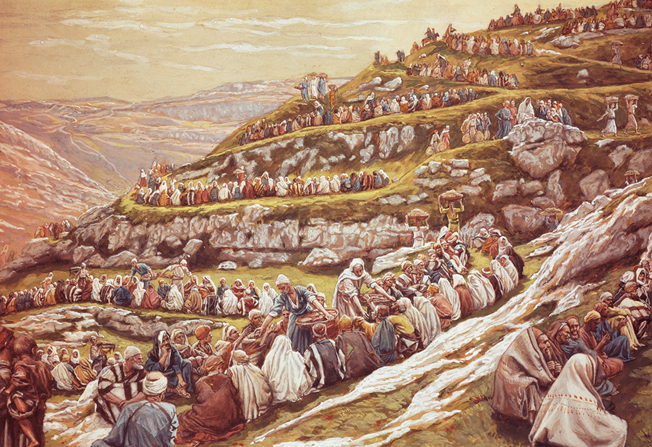 If we desire Zion, if we would see its walls raised, its temple built, our families protected and our hearts knit together in the binding power of our task, we had best say our prayers and go to work--for surely this is the cause in which we are engaged, more so now than ever before! I recently downloaded a talk by Gordon B. Hinckley from the BYU Speeches website. It's an old one, if it isn't rude of me to say so. My age doesn't permit me to really fathom what it means to have been alive and breathing in 1958, let alone to have been alive and wise enough by then to be speaking to a group of BYU graduates, which was the context for his address. The talk was called The Seven Pillars of Wisdom. He gave seven very compelling ideas which he thinks every man and woman should strive to understand throughout their adults lives. One in particular really threw me for a whirl. My first question upon hearing that was, Wait, does that even make sense? Upon deciding that it must, or he wouldn't have said it, I then tried to tackle what it meant and came up shorter than Max Hall at 3rd down. A rather frustrating experience, let me assure you. BYU's Museum of Art has a new exhibit called Types and Shadows, and it's an exhibit full of religious art. I LOVE IT. I've been twice this week and will surely go back many more times throughout the semester. 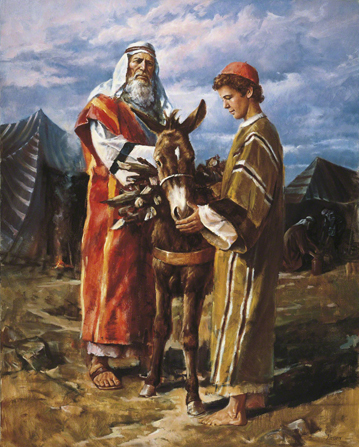 It was only when I came to a rather striking representation of Abraham and Isaac that I finally began to understand what President (then Elder) Hinckley was talking about. Abraham was told to sacrifice his beloved son Isaac. And that's exactly what Abraham intended to do, as hard as it must have been for him because Isaac was his eldest son by his first and most beloved wife, Sarah. But Abraham had the faith to do what he was told, understanding that what he was doing was to be in similitude of the sacrifice of the Messiah who was to come. Sure, that makes sense. I'm glad it's not me, but it makes sense... until you get to the part where God stops Abraham from sacrificing Isaac, tells him his faith has been proven, and provides an animal for him to use instead. Heavenly Father is NOT a blood-thirsty God who is bent on the destruction of the wicked out of some merciless power kick, or the desire to see suffering in the lives of those beneath Him. Heavenly Father, the Father of our spirits, LOVES US PERFECTLY. Heaven wept and the earth shook the day the Only Begotten Son was crucified. Our God weeps at the sight of those who must sacrifice, who must know the weight of spilling blood. And no greater sorrow was EVER felt, I hazard to say, than for the grief of Heaven for the agony and blood of Jesus Christ. But in spilling that blood, I testify that our Savior was perfectly obedient to the will of the Father. 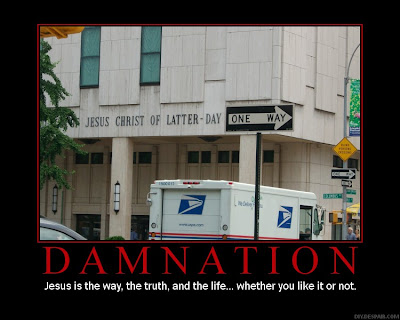 His submission was flawless, and I hazard to say that THIS is why the Atonement is the polished example to all mankind of what Heavenly Father asks of us, what this life is really about, why Christ's sacrifice leads us to the Father. If you do a search of the KJV of the New Testament for the word "Father" and you focus on the Gospels, you see His point of emphasis is how to glorify, honor, please, and submit to the Father. This was what He spent His ministry teaching to all who would hear Him--how to repent and return to their Father who loves them. How, then, can we mistake His sacrifice to be anything less than the act of ultimate submission that it was intended to be? Obedience is better than sacrifice because obedience is the reason we should make sacrifices. This is an important lesson for me to learn because I'm the kind of person who will put my shoulder to the wheel and push along until I'm too bloody and tired to keep moving anymore. I dig deep and I don't stop, losing sight of the fact that in my mortality, I'm never going to be enough. Ever. It was the lesson that Peter had to learn, and it's the one I'm still learning. But that's not what our Father asks us for. He pleads for our wholeness and health, our fullest happiness, our reasoning, our minds, our strength. By obeying His laws, He shows us how to properly obtain these and many more great blessings. He would have us to be a holy people, a loving people, a consecrated and purified people. And we don't obtain that great blessing through bloody hands alone; rather, through obedience to the work that may, and I daresay inevitably will, cause them to be bloody. I'd like to bear my testimony of the reality of the sacrifice of Jesus Christ. I know that He lives, that He atoned for our sins, and that because He did so we have a way to return to our Father. My heart could crave no better blessing, and I look forward to that day in faith and eagerness. In the name of Jesus Christ. So I just changed my major to Ancient Near Eastern Studies, and I couldn't be happier to be studying antiquity again. It means "who is like God." Wikipedia phrases that as a question, but I'll let you know if that's true when we come to it. We learned David and Samuel in class today, so I may or may not learn more names here soon. It means permit, permission, sufferance, dispensation. And actually, the word dispensation comes up without the yod in it too! So if you put my first and middle name together, it could actually make a phrase, which is what your name will do if it's Biblical. Mine is something like Dispensation who is like God, or Sufferance who is like God. I'll have to ask my professor tomorrow and get the official verdict. Heavenly Father teaches us the most amazing things in the most unlikely ways, especially when it comes to helping us realize how dearly He loves each of us, and how special we are. I find it easy to think I'm not particularly special on any given day, but He tells me all the time this isn't true--not about me and not about any of the people I see every day. Maybe if you talk to me in twenty years, I'll have more of a grasp of what He's trying to tell me. The only thing I have a sense of right now is that the majesty of that one truth will no doubt require at least that much time to understand. In the mean time, I have fun facts about how everything, even my name, has meaning and purpose in His plan. Today is the anniversary of my confirmation into the Church of Jesus Christ of Latter-day Saints. 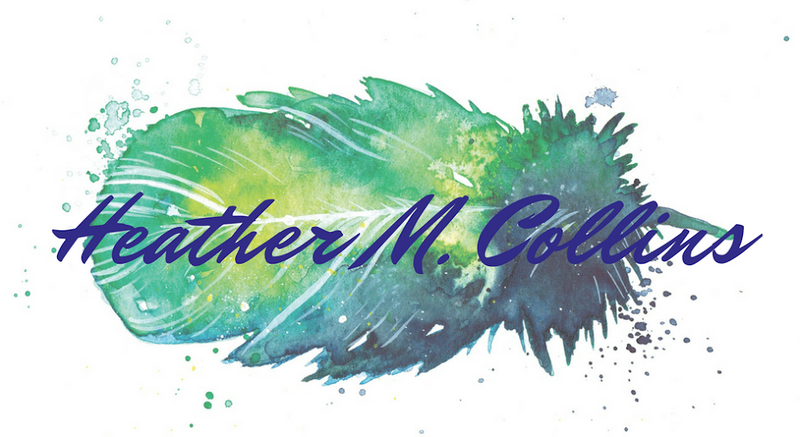 Starting tomorrow will be my fourth year as a member of the Church (yesterday was my baptism date) and as such I think now is a good time to reflect on the changes that have made the journey such a special one. I've given this a lot of thought over the past few days, and I feel confident that I can do this. So here we go: the 3 most important changes of my life as a result of joining the Church. I even feel confident that I can put them in order too. The third most important change to my life is the ongoing process of learning to appreciate the fact that I'm a woman. In a world that has never treated women with the dignity and respect that she deserves, and in a culture that looks at the liberated woman so differently than the Church, finding joy in the fact that I'm a young woman has not been easy. And if I can be frank, yet still maintain a certain propriety, I've come to a sense that being a woman is probably the most physically and emotionally exhausting thing I could possibly be. If my body isn't going out of my way to make me anemic, it's pounding my brain with enough hormones to incapacitate me to tears for no apparent reason. There are some days when I do not see how being a girl is anything more than painful. But now that I'm actually taking Relief Society to heart and allowing it to reveal the femininity I've so deliberately tucked away, I see that there is a crucial difference between being meek and being weak. There is no lasting strength in headlocks and roaring fits of angry rage; nor is there anything weak about a woman who willingly chooses to be gentle and docile in the ugly face of aggression. Choosing to be meek, in fact, is probably the hardest transition I've had to make because so much of what it requires is so different from my nature. My independence has allowed me to be bold in the face of great opposition, to speak firmly for what I know to be the truth in many instances where it was not the easy thing to do. However, there is more to be being a servant of God than preaching powerful words of deep testimony--it's also having the inner stillness and serenity to believe what you say, and to dwell comfortably in that holiest of kindly spirits. It has been no small task for me to trade my Feminine Mystique for kitchen gloves, to cover my feminism with the apron of my calling and go to work. But the more I learned about the temple, what it means to truly honor those covenants, and the blessings that would be mine if I would be exact in my obedience and devotion, the more I knew what needed to be done. I gave up what I believed in exchange for what I truly wanted. Which brings me to the second most important change. Understanding and exercising the Atonement of Jesus Christ is the means by which every change in my life has been possible. He paid for my mortality that I might come here and get a body. He paid for me to have agency, that I might learn to use that body and make choices regarding my own destiny. He paid for the mistakes that I would certainly make because I am mortal. He paid an incredible price of ultimate pain and suffering that He might have perfect compassion for me at every moment in my life. In every sickness and despair, every longing and every loneliness, I have the comfort of heaven to be with me because Jesus Christ made the choice that would make it possible. And most amazing of all, He paid the price for our ability to rise from our graves and to become as gods; exalted beings in our Heavenly Father's kingdom. Nothing less than a perfect sacrifice could have done all of that. And even though I know all of these things and I've spent the last 3 years of my life trying to understand and appreciate them, I just have to ask: How do you thank someone who has saved your life like that, even though it would cost Him everything in life and in death to do so? The idea that anyone could love ME that much is staggering to me. It will take me more than a lifetime to understand the fullest implications of what Christ did for everyone I know and love when He died to save us all. When you bring these truths into your heart, you begin to see how true they are in your own life and it changes you. You're willing to take more things on faith, even things that don't exactly make sense because showing your gratitude to Him is more important to you than understanding every little detail about His plan. I have a lot of work to do when it comes to relying on His perfect grace to truly change me, even though I know that what He offers will bring inexpressable joy to my life. If getting results in the way of recognizably becoming a better person was as easy as wanting it, I'd have made it ten times over. But a reputation is a hard thing to outrun, I can tell you that much. Which is why the most important thing I've learned is the most important thing on my list. My relationship with my Heavenly Father is the most important thing I possess. He is my greatest treasure and my joy, my Father and my friend, the one who loves me more than I will ever understand. And in return I try to love Him more than anything on earth and even heaven itself, more than anything that dwells in either place. What He has given me is a deep and abiding assurance that He loves me perfectly, and I will spend the rest of eternity learning what that really means. Tongue or pen have no words to express how much I love Him. All I can do to show Him is to live as He tells me so I can continue to be as close to Him as I possibly can until I see Him again. Nothing less than that will ever satisfy the yearning that is in me, and nothing in this life is worth having that would take me away from that truth. I'd like to bear my testimony that I know these things are true. I know that my God and my care for His Church is the reason for my every happiness, that God lives and heaven smiles upon those who treasure what matters most in life. In the name of Jesus Christ, whose truth this is. I recently was listening to a talk by Elder Merrill J. Bateman. It was given at BYU in 2000, and the way in which he talked about missionary work really caught my attention because he emphasized something that I guess I've always known, but never stopped to think about. Every temple that is built is a victory for the welfare of the human race. It stands in direct and holy opposition to Satan and his angels. Every temple that is dedicated reclaims a piece of the Kingdom for our Father in Heaven. Our temples are such sacred and beautiful places to our people, naturally we rejoice that more of them are being built. But there's more to the story than that. What I didn't know pertains to the rate at which the temples are now being built, and how that is a reflection of how the Lord is hastening His work. This verse refers to the growth of the Church, which we've long witnessed as one of the fastest growing religions in both the United States and the world. 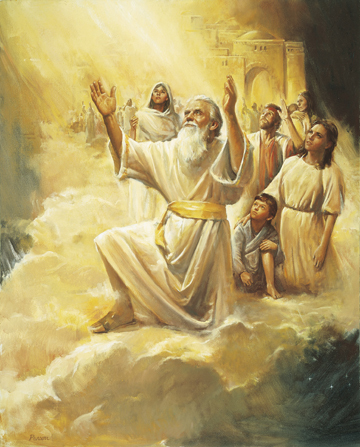 But looking at it again, the imagery in it alludes to the tabernacle of the Old Testament--thereby suggesting something that I didn't realize until Elder Bateman showed me it was true. And really, I'm not a numbers person. But you really don't catch on to the scope of what any of that means until you look at the numbers. Elder Bateman quotes President Brigham Young when he said that accomplishing the work of the Lord would require thousands of temples. And like any one of us probably would think, he always assumed that such a high number would probably be a part of the Millennium, the time after Christ comes again and begins organizing His kingdom on the earth. But to even break 1000 temples is doable in my lifetime. Elder Bateman's time frame was more along the lines of 2025, at which point I wouldn't even be middle-aged. I'm sitting here pondering what that would mean, and again, all I have to speak for me are Elder Bateman and the numbers. 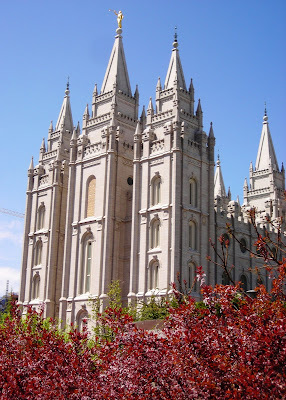 I remember sitting in the upper room of the Salt Lake Temple in March 1996 during a meeting of the General Authorities. The Church was preparing to dedicate its 50th operating temple after 166 years of this dispensation. 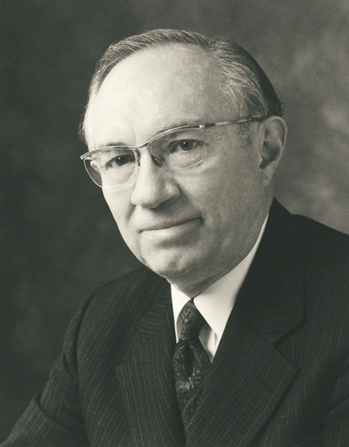 At the end of the meeting, President Hinckley stated that he hoped there would be at least 100 temples operating before he completed his assignment on earth. I sat there stunned. The president was in his 86th year. It had taken 166 years for the first 50 temples to be built. I knew him as an optimistic man, but how could another 50 temples be built in the remaining years of his ministry? About 18 months later, in another meeting in the Salt Lake Temple, President Hinckley announced the concept of the small temple. On a long summer trip, returning from the old Mormon colonies in Mexico, the manner in which these temples should be constructed was revealed to him. The temples would be of the same quality as the larger ones, they would be built of the finest materials, and they would be constructed to last for hundreds of years. Moreover, many of them would be built next to existing stake centers. The St. Paul Minnesota Temple was dedicated this past weekend, bringing the number of operating temples to 69. The 100th temple, expected to be in Palmyra, New York, will be completed within a few months. Brothers and sisters, we are witnesses of a miracle. This talk was given in 2000. So, let me put this in terms that even I can understand. In four years, the Church managed to double the number of temples from 50 to 100. Even though it had taken them 166 years to build the first 50? This also coming from a church that took almost forty years to build ONE? Now granted, that ONE is really beautiful, was made at a time period that doesn't enjoy the technology and prosperity we do today... but seriously. Forty years. That's practically BIBLICAL! Needless to say, we've come a long way, and not on our own either. These Houses of the Lord are beautiful, and I rejoice with my brothers and sisters all across the globe as more of them are being built because even though the Oquirrh Mountain Temple isn't serving any of the saints where I am at the moment as far as performing ordinances are concerned, the fact that it's now dedicated definitely serves all of us in a very real way. 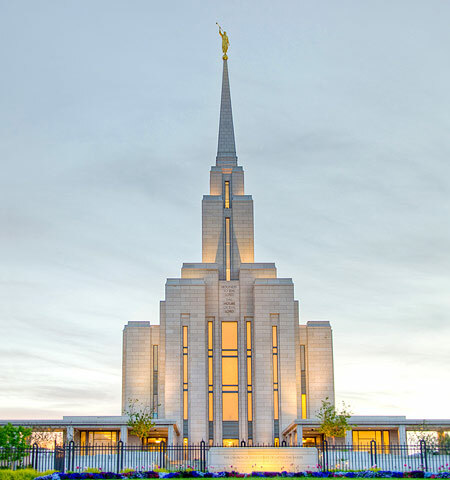 Seeing as we're in an economic crisis at the moment, and there will no doubt be some (both inside and outside of the church) that will criticize us for building temples at a time like this, I pray that we all will understand what it REALLY means to have these temples being built right now, at this rate, no matter what the personal cost. Nothing could BE more important than all of our Father's children receiving the ordinances of His holy temple. I'd like to bear my testimony of the temples of the Church of Jesus Christ of Latter-day Saints--that they truly are the Houses of the Lord unlike any other on this earth. I testify of the ordinances performed inside of them. Having participated in some of these ordinances, I can speak from some of the most sacred experience I've ever had that what we do inside those holy walls doesn't just save lives here, it saves souls in the hereafter. And most importantly of all, I testify of the blood that makes all of this possible and so much more, even Jesus Christ. I know that there is no other name under heaven whereby man can be saved, and I know that if we will consecrate our every effort to Him in righteousness, He gives us the deepest and most profound truth, joy, and peace in return. or spoken with, but I've come to know him as a person instead of a malleable history--and in my opinion, this has not only been truer to life, it has made all the difference in my testimony. The truth. Spoken quietly and reverently to a heart long disturbed, then finally touched... proving to body and spirit forever that there is Someone out there... waiting for someone to do more than hear and see, but to feel. Consider the fear that comes next... yes, fear! Such fear and loneliness as to make a heart quake and tremble in the very meekness that humbles it to new life! What shall my parents and siblings think of me? My friends and neighbors? Their opinions of me matter little, but their judgment of this truth is everything to me now... just like that. As if it had never been any other way because it never can be again. But such weight isn't a heavy yoke so long as you keep moving in the never ending service of others. And so begins the lifetime of tests, of judgment, of great sacrifices and even greater lessons-- wondering all the time if we're doing the right thing, going the right way, if we will ever be enough, and still knowing all the time why we endure. What other choice is there? Where else can I go, knowing that no other person or place can offer the newness of life I have enjoyed? There is no power of myself or in any other place that kindles that deep and abiding flame like the gospel--the trust that, when burning brightly, dispels all darkness and reveals the truth and mysteries of the kingdom of God. Having known such light, I accept that there will be darkness anywhere and everywhere else outside of the truth. I accepted that as the light gets brighter, the darkness will grow darker still. But Brother Joseph said it best, that "deep waters are what I am wont to swim in." I pleaded for the light, knowing that nothing less than heaven would suffice. How do I know Joseph Smith is a prophet? Learning the truth of his call is the easiest, most basic truth there is to understand about his life! Ask and ye shall receive from the Spirit, who deliverth to all men liberally and upbraideth not! Seek the Spirit of God in humble prayer and you shall know that Joseph Smith was a prophet. But to come to the best realization, to understand the personal wrenchings and swellings of a prophet's heart, to endure hardship and to be obedient in every instance, even when all others around you begin to stumble and fall. To work and to sacrifice as Abraham, to love and to cherish our Father's imperfect children--THAT is hard. Facing imperfection in days and ways no one anticipates from the bitterness of life... yet somehow, we continue; always knowing that we have further to go than this long and tiresome journey. Learning to love Joseph Smith has not been difficult because in many ways it's no different than learning to love this journey. If you would know of Joseph Smith, walk beside him. Follow the path he traveled. Engage in the cause and the dream of Zion. Feed the hungry, care for the sick, the widow, and the orphan. Rejoice in the knowledge and blessings in the temple. Find joy in the Lord, the pure love of Christ, even the Holy Ghost, and you will understand the character, heartaches, and trials that truly made up the life Joseph Smith. Some scholars and historians try to objectify the prophet's life because they think it will allow them to come closer to the truth about him, and instead they strip his life to an unrecognizable, meaningless mess that completely misses the mark of who he was. I don't understand why people would do this, but they do. It's the willful choice to focus only on that which was mortal, or worse, in the prophet's life--the instant discrediting of that which was good in him, and the magnification of that which was imperfect. Such bias against anyone, especially the prophets, or any servant of the Almighty God, is not Christian. And only by forsaking such bias can we come to appreciate the good and the true wherever it may be found, but especially in the lives and deeds of the prophets. I know that Joseph Smith is not only a prophet, he is my brother, my friend. I look at his life as I would a friend, and in response to the criticism of him that never ceases I think to myself, "My God, what have they done to you?" And there have been times that I've been brought to tears because I wasn't able to defend him from the misinformed criticism that has occurred in my presence--just as I would for my brother, my son, or my father. I testify that God honors such love, and will meet it with truth from on high to all of those who will seek in sincere humility and prayer. 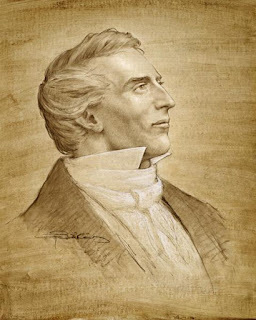 It has long been my wish that the people in my life could see and appreciate Joseph Smith through my eyes, feeling what I feel as the Spirit reveals more and more to me about his life and the kind of man he was. I know, without a doubt, that if people could see that, they would not doubt the truth of this Church, its leaders, the Priesthood, the Book of Mormon, and the Godhead that makes all of them possible. "As for the perils which I am called to pass through, they seem but a small thing to me, as the envy and wrath of man have been my common lot all the days of my life; and for what cause it seems mysterious, unless I was ordained from before the foundation of the world for some good end, or bad, as you may choose to call it. Judge ye for yourselves. God knoweth all these things, whether it be good or bad. But nevertheless, deep water is what I am wont to swim in. It all has become a second nature to me; and I feel, like Paul, to glory in tribulation; for to this day has the God of my fathers delivered me out of them all, and will deliver me from henceforth; for behold, and lo, I shall triumph over all my enemies, for the Lord God hath spoken it." I testify in the Holy Ghost that lifted the Prophet Joseph Smith's heart to confidence in the direction of the Lord. I testify that the Spirit is the source of all truth which is to be spiritually discerned, and only by obtaining that Spirit can we be brought to that same confidence in our own standing before Almighty God. I pray that we will always seeks for the fullest and richest blessings that heaven has to bestow in the name of Jesus Christ. "..she stretched out her arms for the three little selfish children they would never envelop again. Yes, they did, they went round Wendy and John and Michael, who had slipped out of bed and run to her. "George, George!" she cried when she could speak; and Mr. Darling woke to share her bliss, and Nana came rushing in. There could not have been a lovelier sight; but there was none to see it except a little boy who was staring in at the window. He had had ecstasies innumerable that other children can never know; but he was looking through the window at the one joy from which he must be for ever barred." It has been far too long since I've had the tragedy of a story knock me off kilter completely. The above is from J.M. Barrie's Peter Pan, a book whose ending reads almost like an epilogue, but whose events are so wrenching as to nearly bring me to tears several times. But I honestly don't know which upsets me more--the image of Peter Pan, a forgotten child outside of both window and normalcy forever; or the reality of Wendy growing up. I see a lot of Wendy in myself. A curious little mother that didn't forget the lost boys. A girl that once played in mermaid lagoons and ran from pirates. She was child-like enough to fly with Peter and be in Neverland, but remembered enough of the world to be a mother and to care for her own. If only for a season, she could draw from both worlds and have the best from each. But soon enough, she underwent a kind of transformation that must exist in order for the Peter Pans of the world to always have someone care for them. She died, in a certain sense, by growing up. But because of that there would always be a daughter to do the spring cleaning for Peter and the motherless. 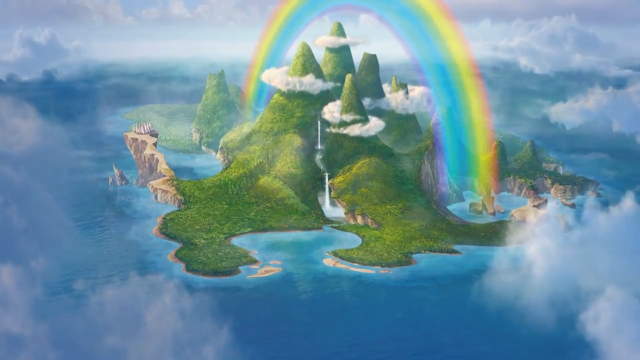 She left behind Neverland, a place of childhood dreams and simple morals, in order to grow up. When you think about what it meant to come to this earth, to have our memories of our heavenly home, our Heavenly Parents, the precious truths we once knew hidden behind the veil, Peter Pan has a similar smack of that same growth process. There comes a time when we trade the truth of childhood innocence and simplicity for the truth of a conscious, accountable, sacrificing adult. This is without a doubt one of the tenderest moments in the entire Book of Mormon. The last time I read it, I didn't fully appreciate what it meant to be a child at His feet because I didn't know what it meant to be a child. In many ways, I still don't. And like Wendy, I thought it was something that I couldn't reclaim. Like Wendy, my parents needed me to grow up a long time ago, so that's what I did. And like Wendy, I always assumed that this meant that I probably would never see Neverland again. But thankfully, I see now that I am wrong. I'm so beautifully wrong. You and I, and everyone else on this earth, CAN see Neverland again. Because Jesus Christ lives! His Atonement doesn't just allow for forgiveness through repentance, and comfort in sickness and pain. His Atonement doesn't merely pay the price for our agency and learning by giving us the choice, and I daresay even say the permission at times, to break His rules. His Atonement also paid the price for us to go home again--home to our Heavenly Father, dwelling with Him and His associates in heaven. If we want to return to Neverland, there is no other name under heaven whereby man can be saved. 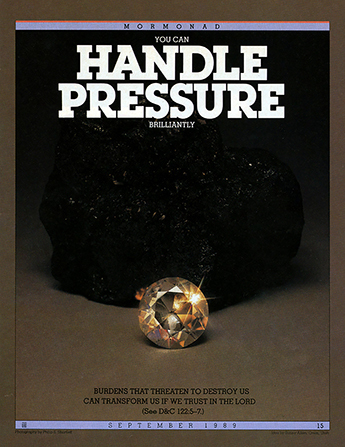 The promise of that immortal and eternal prize has been the backbone of every idea I've pursued in the past 3 years. It's because of the vision of the kingdom to come, the hope of Israel, that I try only to do those things that will please my Father in Heaven. It's because of the sins I've committed that I know that no other way but His way, through His Son, according to His laws, on His terms will have the power to exalt the entire human race. And it's from living the commandments, even when they make absolutely no logical sense at all, that I've come to appreciate what makes them true... the fact that they're still true, no matter what the circumstances. The entire world could fall apart, both outside these walls and within the frailest human heart, and the message of the gospel would still be true. From childhood to adulthood, states of geography and mind alike, to people of every culture, throughout all time--the message of Jesus Christ and what He has done, is doing, and will do in the future will never cease to ring louder than the echo within His empty tomb. The only "never" about Neverland is that it shall NEVER disappear, halt, cease, or fail. Even in the face of moral relativism and militant atheism, the kingdom of God is at hand. Why? Because someone VERY real, even Jesus Christ, was willing to give up the easier, even blissful existence that we've been given here on this earth. We are here, learning to live and thrive within our own families--His gift to us. But not Him. He is elsewhere, preparing a house of many mansions in which ALL have a place. In essence, our Peter Pan took His place beside our windows because that's where we needed Him the most. But really, I have to wonder... just how much has He given up to be there? Was that part of His sacrifice--never being able to have a life like ours? Even if you only view that question in the context of His mortal life, sometimes I wonder what it was like for Him--even as a child. From the time He was young, His sacrifice was in flawless unison with what the Atonement required; a perfect, sinless life. I simply can't fathom that. No sin. His ability to learn would have been limited only by His capacity to take in information. How does one handle that kind of power, even as a child? But a child shall lead them... just as Isaiah prophesied. And when we look at Christ in context with His Father, we see His total submission to the will of our Father in Heaven. That's exactly how Christ would have wanted us to see Him--a perfect Son. A submissive child. So what does it mean to become as a little child? Obedience? Humility? Sacrifice? All of the above? Or are these just outward signs of the inward grace, and THAT is the answer? I'll be honest, I don't know. It's a lesson that is taking me quite some time to learn. I've been paying closer attention to my family for this one, and that is never easy. But I do know one thing. 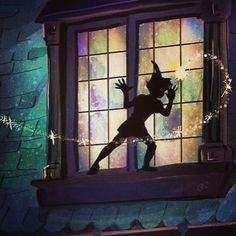 Reflecting again upon that image of Peter Pan outside of the window, this time focusing on the choice he had to make that night--whether to remain a lost boy or to be a child in the Darling home--I can't help but see one thing that frightens me most about Neverland. How many people do I know that are standing at the window to the Gospel, trying to decide if they want to come in or not? How many people in my life will never meet another member of the Church? How many times have I passed up an opportunity to answer someone's prayer for the truth because I didn't go to them when they needed me? How many people are counting on me right now to share the truth with them, and neither one of us are aware of it? Reflecting back on this message from the First Presidency, it's all too likely that this has already happened to me more times that I know. And that's a chilling prospect to me. I may not know the meaning or reasoning behind all things, but I know enough to start opening my mouth to people I care about. And it's hard, and uncomfortable, and I've pretty much sucked at it so far. More than sucked. I've actually blown it a few times already. Just like Wendy, as described by her father, I can never do things half way. ... say, the second star to the right, then straight on until morning? It's a Saturday night, and you're enjoying your evening. You're with excellent company doing exactly what you love to do. You haven't a care in the world and your day has been nothing but exciting, despite your sleep-deprived state. You're hours and miles away from the internet, and it feels good to be unplugged for once. You're with friends your age, and none of them are family. In a word, you're completely and totally relaxed. Wait a second, you think to yourself, Why does that sound familiar? Lemme think a minute. OH YEAH! That's the lesson you were looking at in the manual two weeks ago and the Spirit told you to start preparing it. And again last week. And again right now. Dang. "Sure! I would be more than glad to teach it." What do you do? Panic? Pray? Prepare frantically using a friend's blackberry to see the manual, scribbling what you want from it verbatim into your journal, along with lots of scriptures--to be assembled later? All of the above? Well, maybe this doesn't happen to you. Maybe you're wise enough to heed the guidance and promptings of the Spirit so you aren't racing to do as much work as you can before the sun goes down and the Hill Cumorah Pageant starts. Maybe you've learned, as I seem to be learning, that building Zion is a full time job that never stops after a certain point in your spiritual development. Maybe you're right there with me, trying to give your all to see His kingdom shine in the eyes of His children. Or maybe this is just a part of the process of becoming a wise virgin--drop by drop as you not only excel, but learn what NOT to do, and are blessed with the wisdom on how to make things right and do things better. Maybe that's the part of the story I missed--learning that to be chastised is just as important as succeeding in life. But that's the great and glimmering gem that comes from insight through hindsight. At the time, I pretty much was alternating through self-denigration, sheer panic, and frantic scribbling of more notes and material than I was ever going to get through in one Relief Society lesson, but we're getting to that. Eventually, I decided that I had made all the notes I would need in order to later assemble the lesson I was envisioning in my head. I decided to get back to enjoying the Pageant and being in Palmyra with great friends that definitely know how to come to your rescue when you need them most. We had a great time. We left as soon as Pageant ended, laughed once more at the anti-Mormon protesters as we were leaving, and began the 356 mile journey back home. 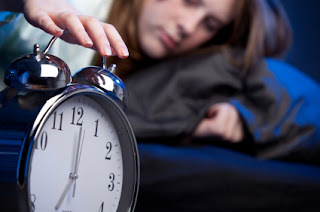 I had decided that my plan of attack would be to sleep in the car, finish my lesson upon returning home, get ready for church, attend the Single's ward, teach my lesson, go to my bishop's house with the rest of my ward like we do pretty much every Sunday, and NOT die of exhaustion in the process. If I recall correctly, it was just after 6AM when we pulled up to my place. And with the addition of a two hour nap, what I planned for is essentially how everything played out. Which isn't to say that everything went smoothly. I didn't finish (not that I had a stopping place in mind, so I'm not sure how I was judging that), but I successfully printed what I had as I was running out the door and continued scribbling more notes and a few additional scriptures on my lesson plan through Sacrament Meeting. I found a REAL gem in 1 Peter 1 that I didn't actually get to because I ran out of time. But I did my best, there were no awkward gaps, and I still managed to run over my time--as usual. The quality of the lesson was my usual, meaning (I would hope) the best I have to offer. And yet, it was the first time that no matter how hard I tried, I couldn't get comfortable up there. I usually find my groove and I enjoy every minute of being up in front of those I'm teaching, but that didn't happen. The fact that I took a detour in the middle of it really caught me off guard, and I was beginning to wonder if I hadn't had the Spirit from the word Go, I was so uncomfortable. And if I didn't have the spirit, how could I have possibly taught anyone anything about charity? I wanted so badly to do a good job, and I felt as if all I had done was expected too much of myself at the expense of everyone else's meeting. Seeing as I was entirely too sleep deprived, my ability to trust my own spiritual perception was non-existent. So I did what I always do when I'm that far out of my mind. I prayed. I asked for forgiveness in not heeding the voice of the Spirit weeks ago. I asked if my efforts had been sufficient, if I had properly honored the responsibility I bear in His name as a teacher of His precious children. What I asked, in my heart of hearts, is if I had disappointed Him. I have found that any lesson you give will only be as good as what you learned about your subject in the process. And when it comes to charity, I seem to have this really sophisticated (and probably wrong) expectation of what it means for me to be worthy of His forgiveness and love. Seeing as I didn't have a lot of time to prepare, I didn't exactly have a lot of time to work through my understanding of God's love. But now I see that this was the only way I was ever going to understand His answer. Right after I said my prayer, I spoke to someone briefly. She left a simple message for me--that she had enjoyed my lesson, and that it had meant something to her. Then she was gone. Charity... I put hours of hurried work into a lesson that one faithful sister was able to express to me in 30 seconds simply by saying thank you. She answered my prayer, and was nothing less than an angel to me when I needed one most. And it was through her that I began to understand the unadorned truth about charity--the heart of God's matter when it comes to His children. I never imagined in my wildest dreams that infinity could ever be that simple. So if you asked me to pick a favorite part of my Palmyra trip, it would be impossible for me to do because from start to finish, the experience was better than I could have asked for. Samantha and two others from my single's ward made the trip up to Palmyra last Friday night. It didn't take long to see that the trip was going to be top notch because there's NO end to the fun you can have in an enclosed space with humorous company. High speeds don't hurt either, in my opinion. We didn't arrive at the campsite until 1 in the morning, at which point we set up two tents--a 10 foot by 10 foot tent for the three females (affectionately referred to as "the harem") and the "baby tent" at its door for the guy who drove us. He protested against the name because he says he has a smaller tent, but you should have seen it. It was, in fact, a baby tent. The next morning, we spent the day touring every site we could find--and even a few we couldn't (as was the case with the Martin Harris farmhouse.) We started with the Book of Mormon printing site. It was that one that really resonated with me the most for some reason. The reality of what happened there wasn't lost on me, and I could feel that the sister missionary's testimony was true. She mentioned that the process of printing the Book of Mormon (a rather long and detailed process) could be likened unto the growth of a testimony, and I had never thought of it like that before. It made a lot of sense to me though, and it's an analogy I'll probably hold onto for future reference/ use. After the Grandin print shop, we went to the Smith farm. It was a beautiful day outside, which we commented on repeatedly. There was an elderly sister that passed us and pointed out that off to our left we could see the Palmyra temple. She made a comment that it's easier to notice things like that when we aren't so busy talking to each other. As I think about how much more I could have taken away from the trip had I not been jabbering on so incessantly or so worried about taking pictures, I kind of wish I would have taken her advice to heart. We didn't do any of the tours at the Sacred Grove or the Smith farm. As we walked through the Sacred Grove, we debated and speculated about where we thought it was. There are a series of circular paths, none of which make any particular spot stand out as the Site of the First Vision. I was a little disappointed about that. We did take a little detour off of one path which, in hindsight, seems to be pretty promising based on the artwork behind the Christus in the Hill Cumorah Visitor's Center--but I suppose I'll never know. At least, not in this life. As we were leaving, we saw this. Note the front license plate. We then made our way over to the Palmyra temple. As is my tradition, I took a ton of pictures. Considering it was the second temple I've been to in the past week, I decided I needed to get a map and start marking off the ones I get to see. I would love to have the means to someday see them all--but I would also love for them to continue to grow in number so as to make that pretty much impossible. The Palmyra temple is gorgeous in it's own right. I was only there briefly, but its beauty is hard to miss. We managed to find the Martin Harris farm site by accident in the process of turning around to go find Alvin Smith's grave. We eventually did find it, left to go get some crayons to do grave rubbings, and returned. In the five minutes we were there, we accumulated a ridiculous number of mosquito bites. Needless to say, the grave of the Prophet's beloved older brother is well protected. I wonder how many starving children could have been fed with the money that was spent on that truck. One of the mysteries of the Kingdom, I suppose. We eventually made our way over to the Hill Cumorah. And let me tell you, it's a BIG hill. I won't lie, it winded me. But this statue of Moroni was impressive. I've never seen it or anything like it before. We rejoined one of our friends at the bottom of the hill. We were sitting there comfortably and happily when I got a really FUN phone call. "Hello... oh I'm just fine!... What's that?... You need me to teach tomorrow?... SURE!... I mean, I'm in Palmyra right now, but I should make it back in time to teach tomorrow... Great!... OK, enjoy your evening. Buh-bye." Why did I do that? Because Heavenly Father told me two weeks ago that I was going to be teaching that lesson, and I couldn't bring myself to say no because of it. He had given me plenty of notice, and it was my fault I hadn't yet prepared. The guy who came with us (affectionately nickname "Mom" by this point because of how prepared he was for our lack of being prepared) let me use the manual on his blackberry to start taking notes for my lesson. Once I realized I was fighting a losing battle, I took a break and we made our way over to the Hill Cumorah Visitor's Center. They had some pretty cool stuff in there--like Sister SHAKESPEARE! Yeah. That's pretty much made of awesome! By the time we were ready to leave, it was time for dinner. I stole a salt potato from one of my friends who bought them. I thought they were tasty, but I don't think the one I had nearly as much salt as the rest of them because she kept saying they were too salty. So I'm thinking my judgment doesn't count for anything. It was pretty much a waiting game after that. The Pageant wasn't going to start until it was dark. And cold. And Mom came through for us again by giving us a blanket. Go Mom! Then, at last, it began! YAY! My camera wasn't exactly equipped for what I was demanding of it. Mom's camera was AMAZING! Not that I can show you. But trust me. His pictures were great. This one is probably my favorite that I took. I love Lehi's dream. And this scene is pretty much my favorite scene of it. I know something of the desire of having tasted of the fruit which is sweet above all that is sweet, and wanting desperately for my family to do the same. It was a great experience. I'm glad I was able to go, and I highly recommend the experience to anyone. Unless you're an anti-with a big yellow truck, in which case I have something special for you. If you're familiar with Demotivators (Despair.com), let's just say I made one. Yesterday Samantha and I went to the Manhattan temple. Because we are college students, this also involved going to two bookstores, a museum, and a Starbucks. We headed towards the temple, the trek to which brought us to our first bookstore--a Borders where Sam purchased a book out of the bargain bin for a dollar. We arrived earlier than the appointment time I was given when I called ahead to make sure we didn't need an appointment, which I was told by someone else the previous day. We met the security guard--really nice, big guy with a ponytail and sunglasses. He reminded me of one of my martial arts instructors--nice as could be, a gentle giant type, but you won't catch me crossing them wrong in an alley. I know better. Seeing as we were early, we had to wait for the brethren to return from performing other ordinances. I can't say that I minded. I like having time to linger for as long as possible in the temple. We had scriptures to keep us company, and I spent quite some time with the Psalms (the end of 119 to about 127.) I couldn't have asked for a more appropriate set of psalms to help me. The Lord truly does hear the pleas of His children--especially in His holy house. And I must say, His house in Manhattan is beautiful. If I'm not mistaken, that's the most marble I've ever seen inside a temple. I've only been to 3 baptisteries so far, so it's not like I have too much experience to speak from--but the feel it gave to the rooms I did see was very distinct. It felt wonderful beneath my sore feet, even if I was sopping wet. After being in the grimy, humid, fuming, sweaty, stinking streets of New York City, it felt inexpressibly refreshing to be in a place as clean, cool, and quiet as the temple--a pearl, if you will, in a smoke-filled room. And I had just been washed clean--for myself and on behalf of someone else. There's nothing like that feeling anywhere else in the world--especially not in a city. I was never one for the hustle and bustle of a noisy city anyway, and it honestly felt like we were back to it way too soon. That's never an easy transition for me. The temple is the place where I feel most like myself, the only place where I feel like I'm ever enough, where all my efforts ever count for anything at all. It's the most comfortable place in the world to me, and I'm rejoice that He supports me until I can return again. Without that blessing, I can honestly say I would not be able to survive. Soon enough, however, it was time to return to the world that makes such support necessary--the Test, the tasks at hand that seemed to surround me outside of my head for a change in the swarms of taxis, changing lights, and the babbling stream of strangers that treat the temple (and Him whose house it is) the same way they treat each other--with no regard that anyone was even there. Ignoring people seems to be a way of life in New York, which I find to be exhausting. Not only is it contrary to my nature, it takes a lot of energy to block out that much noise and movement. They don't make enough iPods for that from where I'm standing. Thankfully, we saw the Museum of Biblical Art (their site is here) and we stopped in to see what that was. I was glad we did. It was really interesting to see the Christian devotion of the 16th century Netherlands preserved so carefully, and what we were able to learn because of it. The drawings were so detailed, and I saw things in them that surprised me--like the baptismal font, complete with the goats/ livestock that were bearing it upon their backs. One had the Table of Shewbread too. There was one Bible that had drawings of all the sacred artifacts of the tabernacle. My favorite print of the day had to be the one of Jael with a hammer getting ready to put a tent stake through Sisera's head. I couldn't take a picture, but to see her anachronistically drawn in medieval getup with that docile look on her face (not unlike the one usually reserved for the Virgin Mary) with a giant hammer in her hand--it was so random as to almost be comical. Those old European loonies may have thought women were the devil (as clearly presented in their portrayals of Eve) but at least they knew a good story when they heard one. They had a few other pieces in another room that had nothing to do with European woodcuts. Someone decided it was a good idea to take sacred texts and make things out of them. Hand shaped boxes, things like that. There were also pictures on the wall of dilapidated Bibles that were found after Hurricane Katrina. I found it to be VERY unsettling. There was a picture of a Bible held together by mere threads of its original binding, and I almost wanted to cry. Call me dramatic if you wish, but I cannot endure seeing such carnage on a book any more than if it were a real person. We moved on, stopping briefly in a Starbucks to rest. We didn't buy anything. We had $2 of my parents' money left, and that isn't even enough money to pay someone to look at you in New York. All in all, it was a really nice day. I'll remember it fondly in the few hours I have before I start getting ready to leave for Palmyra. More on that when I return.